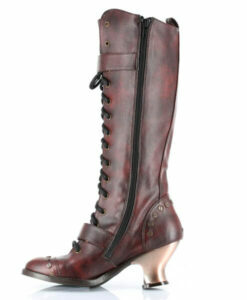 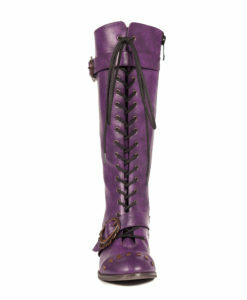 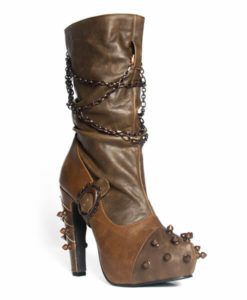 A Steampunk influenced High Heel Oxford shoe with 4 custom flame metal buckles, which Laces up the front lined along the ankle opening with faux fur. 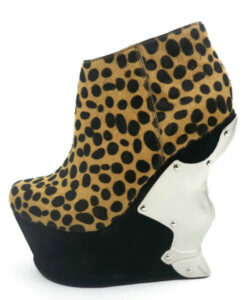 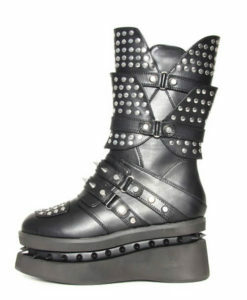 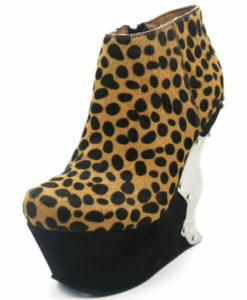 Has a 1.5 Inch Platform with a 5 inch heel. 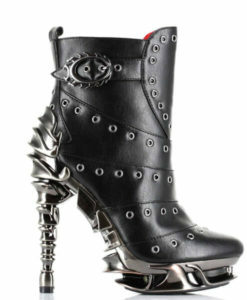 Designed with flame shaped buckles. 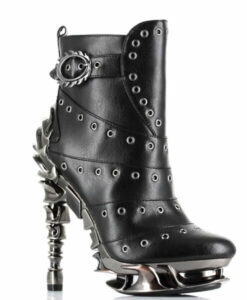 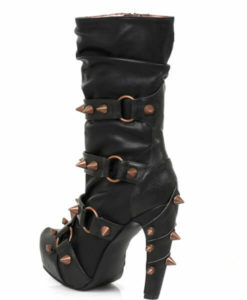 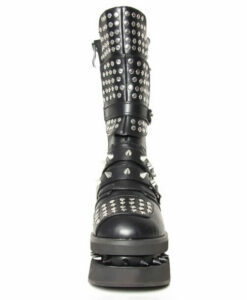 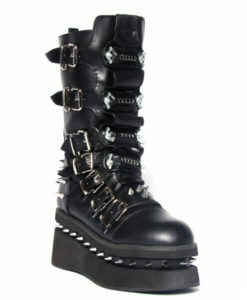 Adorned a with metal Butterfly, spikes and gears upon the heel. 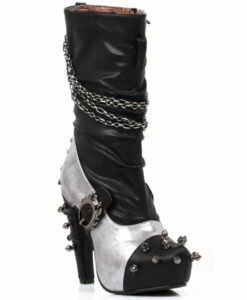 Discontinued heel.